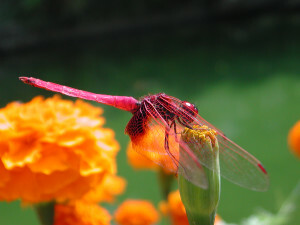 The dragonfly is a symbol of transformation, something that often occurs during coaching work. Turning Points provides coaching for professional and personal success. All clients work to become aware of talents, clarify experiences to date, set realistic goals and receive accountability for progress toward goals among other things. Below is a brief description of what each package entails. Through an assessment and coaching sessions, high school juniors and seniors, college students, recent graduates, and early career seekers can begin career and college exploration based on their discovered strengths and interests. For adults re-entering the workforce or considering a career change (including retirement), assessments and coaching help to reach full awareness and identify the best next steps toward a rejuvenated career. Aspiring, new and re-aligned managers will benefit greatly from the in-depth assessments and coaching that lead to a positive shift in responsibilities and purpose. Assessments and coaching for corporate leaders including those who are aspiring, new, stuck, struggling and re-aligned leaders (such as first time on a board of directors, leading group/department/function/organization in which you have little technical expertise) all in an effort to solidify a professional vision and identify skills for success. Current and aspiring education administrators undergo a series of assessments and coaching sessions to identify strengths and future goals all the while benefiting from an experienced external sounding board. This 1.5-day workshop allows company leaders to learn a 5-step process and specific skills that will shift worker behavior from waiting to be told to asking for what’s next. The Coaching Conversations Workshop can revolutionize the workplace. Through a series of short, individual coaching sessions conducted on-site, this is a cost-effective follow-up to assessments and workshops to reinforce learning and provide personal accountability. To learn more about career coaching from Turning Points, read our FAQs and Sample Coaching Client Goals And Results Achieved page. Coaching pricing starts at $650. Call for more details.